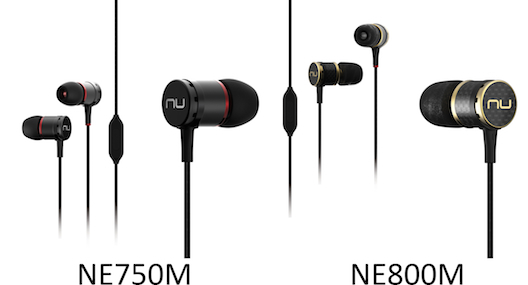 Since their introduction the NuForce Primo earphones have been in the list of the best earphones available. Their proprietary design and technology with resulting performance have made them one of the most popular on the market. You'll hear remarkable resolution with these earphones. The four armature driver speaker array (per side), with a three way crossover delivers an unmatched full range sound. The two layered cable with Kevlar Silk, silver and OFC copper wire ensure unimpeded accuracy and delicacy. Made from aircraft grade aluminium these are light weight yet durable and beautifully designed for superior sound. Smartphone friendly, the microphone can be used to answer and disconnect calls and to forward and pause songs. 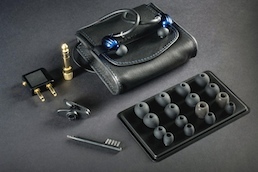 The carbon fibre shell, machined with solid brass detail give these earphones a justifiable feel of luxury. 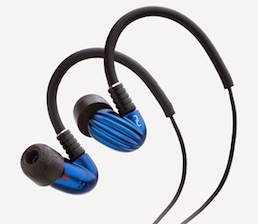 The technical advantage of this is that the NE800M earphones are free of micro–dynamic vibration. The single driver features a large 8.6mm Titanium-coated diaphragm, a powerful N45 Neodymium magnet and an innovative lightweight copper clad aluminium voice coil for exceptional performance. The little NZ$250 uDSD Dac and headphone amp is a minor miracle. 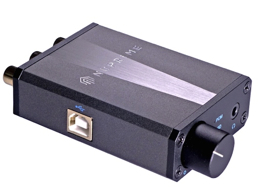 Superficially derived from the NuForce uDAc, this diminuative component is just as well built as the DAC-10 and delivers a level of performance far higher than the price point suggests. Supporting the latest high-resolution music formats,the NuPrime uDSD, is capable of decoding sample rates ranging from 44.1kHz to an astonishing 384kHz (PCM) as well as native DSD decoding ranging from DSD 64 up to DSD 256. It's a USB DAC, it's a headphone amplifier and can connect to both conventional amplifiers, active powered speakers and even power amplifiers. It's DSD capable, has class leading resolution and can even convert from USB to coaxial digital. Connect it with good quality cables, plug in your best headphones and prepare to be impressed. An absolute essential for anyone with an expanding high resolution library on their laptop. 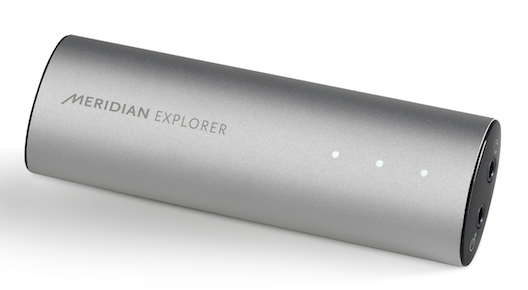 Designed to enhance the sound from your computer, the Explorer takes MP3 audio files and turns them into high resolution sound. For as long as we have been involved with music, Meridian has been the leader in digital - the quality of their CD players is nothing short of legendary and their expertise in the whole field of home music reproduction is unmatched. And yes, some of their products and systems are seriously expensive. With the introduction of the Director a high-quality DAC (Digital to Analogue Converter) designed to deliver superior audio performance from digital sources such as media players, CD players and computers, Meridian delivered a product we can all enjoy. The 'Explorer' now takes this to an even more affordable level and brings 'streaming' into the realm of the high end. Explorer2 differs from it’s predecessor with the edition of Meridian’s 'MQA' – Master Quality Authenticated – a revolutionary, high end digital file format, yet is one that is small to download and stream. Read more here. Once you’ve made your decision and are ready to order, we’ll make it easy for you. Either phone us on 0800 909–101 or e-mail and we can get your address and all details confirmed. For payment more and more people prefer to use internet banking – email us to get account details. Credit Card is a safe and easy option; and if you’re overseas the currency conversion is taken care of by your credit card company. We accept Visa and Mastercard. Or pop into our online shop where the most popular models are available. Let us know if you would like complimentary gift wrapping. And for last minute gifts we do have an overnight courier option.